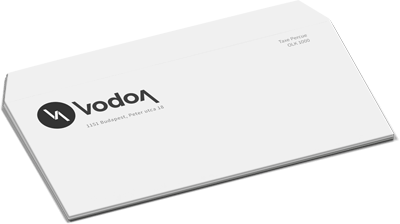 #9 envelopes printed with your full-color logo and return address make perfect business reply envelopes. Use #9 envelope printing to create customer-friendly envelopes to include with your company’s invoices or statements for easy-to-use reply envelopes for responses or remittances. In addition to #9 envelope printing, our online envelope printing services include #10 envelopes and #10 window envelopes. And remember to print matching business cards. Clients, customers, or future employers will know you’re a serious professional when they receive your follow-up letter on corresponding letterhead in a professionally printed envelope. Place yourself ahead of the game and stand out from your competitors.